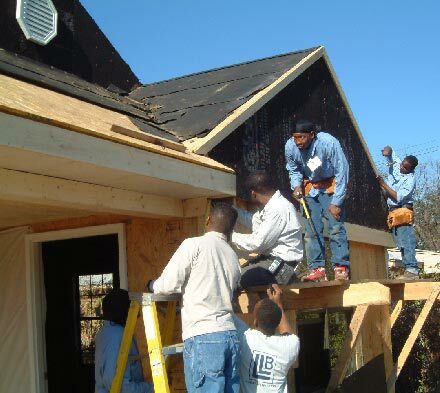 The mission of the Building Construction Tech­nology is to provide theory and hands-on train­ing that will qualify students for employment or advancement in building construction. Students erect framework including subflooring, sheathing, partitions, floor joists, studding and rafters. The curriculum also includes building preparation for trimming, installing molding, wood paneling, window sash, door frames, doors and hardware, as well as building stairs and laying floors. Perform tasks involving physical labor at construction sites. May operate hand and power tools of all types air hammers, earth tampers, cement mixers, small mechanical hoists, surveying and measuring equipment, and a variety of other equipment and instruments. May clean and prepare sites, dig trenches, set braces to support the sides of excavations, erect scaffolding, and clean up rubble, debris and other waste materials. May assist other craft workers.